Professor Jan Kramers, a researcher and lecturer at the University of Johannesburg (UJ), led a team of South African and international scientists, who have discovered evidence of comet fragments, larger than a few microns, on Earth. The revolutionary discovery, published in the journal “Earth and Planetary Science Letters”, with Kramers as the lead author, reported on a small, very unusual stone, found in the Egyptian desert by an Egyptian geologist. The paper, entitled Unique chemistry of a diamond-bearing pebble from the Libyan Desert Glass strewnfield, SW Egypt: Evidence for a shocked comet fragment, highlights how scientists, using sophisticated chemical analyses, studied the small, angular, black, shiny, extremely hard and intensely fractured stone. According to the joint study, the stone, found in an area where an extreme surface heating event produced the Libyan Desert Glass 28.5 million years ago, is a remnant of the comet fragment that impacted after incorporating gases from the atmosphere. “This discovery is reasonably sensational as comet fragments larger than a few microns have never been accessible on Earth, except as microscopic sized dust particles in the upper atmosphere and some carbon-rich dust in the Antarctic ice,” says Professor Kramers. 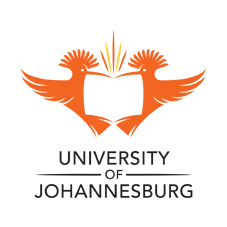 “The finding not only opens a new door to the study of the outer solar system but also highlights a multi-university collaboration of scientists and the South African Nuclear Energy Corporation, NECSA. Professor Kramers is a B rated NRF Scientist with the one of the highest h –index of Earth Scientists in South Africa. He is a leading isotope Geochemist and was previously a Professor at the University of Berne in Switzerland before retiring to South Africa and taking up his current position as Professor at UJ’s Department of Geology.